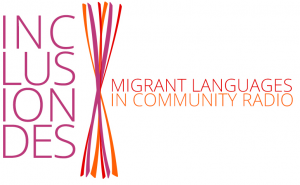 Migrant communities to use community radio as a way to communicate with their own community but also as a way for intercultural communication as a way to create new understanding with the native population and other migrant communities. Also as a way to fight racism. Migrant communities use community radios as a way to improve interpersonal skills and networking. The idea is that each partner will look into their own region/country to find experiences of multiculturalism. This part will be coordinated by Near FM. Each partner needs to bring three example of best practice towards building a document on guidelines to facilitate migrants’ participation in media. Radio programme produced by all partners reflecting on the learning of the project. Website where all material will be uploaded.